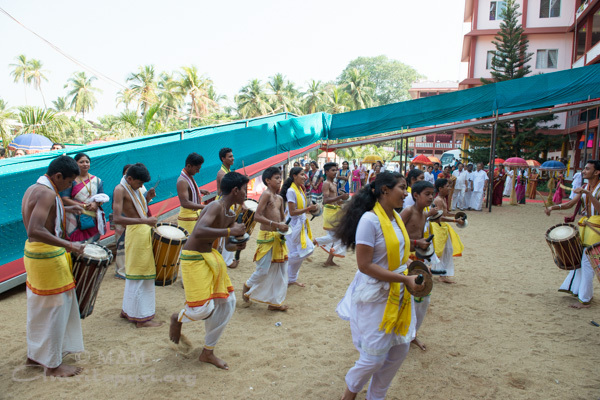 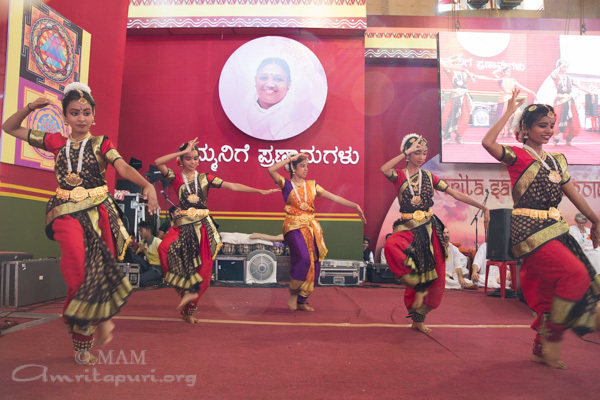 The second stop on the Bharata Yatra was a two-day Brahmasthanam festival in Mangalore. 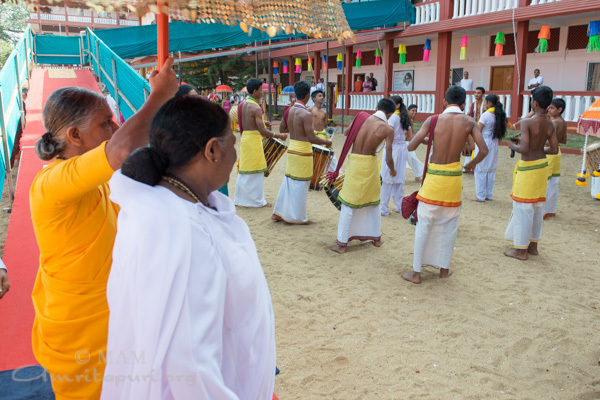 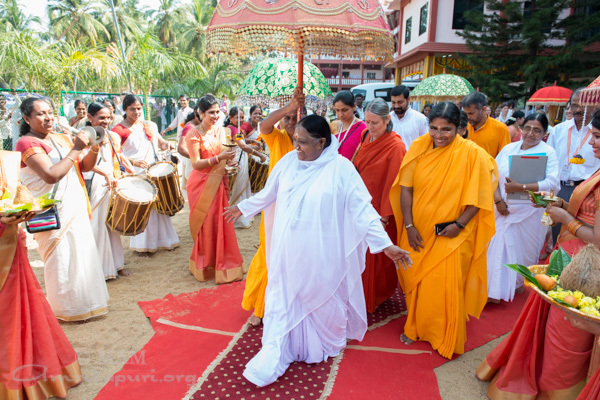 Amma was welcomed to the stage with traditional drumming, dancing and rows of girls wearing traditional attire and oil lamps. 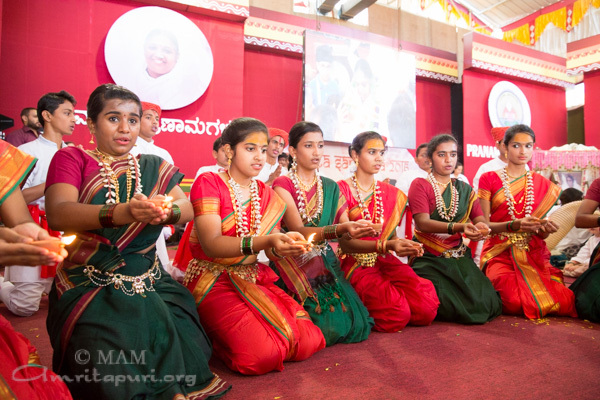 During the program, Vidyamritam scholarships were distributed to 51 deserving students and Amrita Nidhi financial aid was extended to thirty more needy. 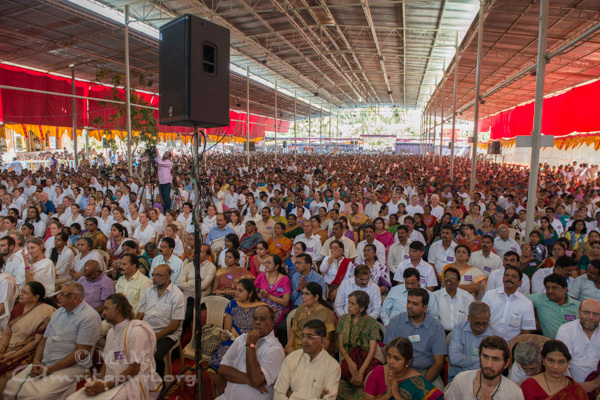 Purified drinking water filters and coloured dustbins were distributed to 10 government schools. 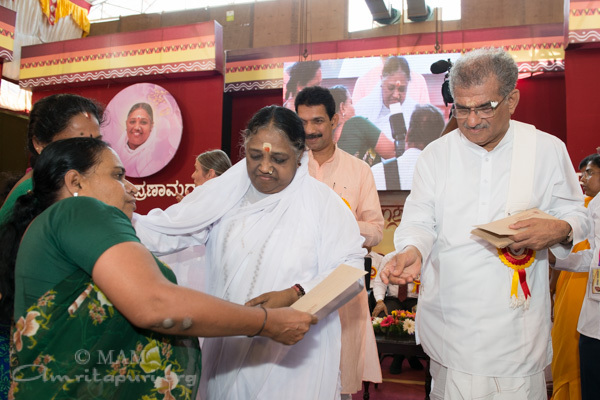 Dedicated Amala Bharatam volunteers who have been working all these years since the launch of the project were honoured and were presented with a water filter for their family. 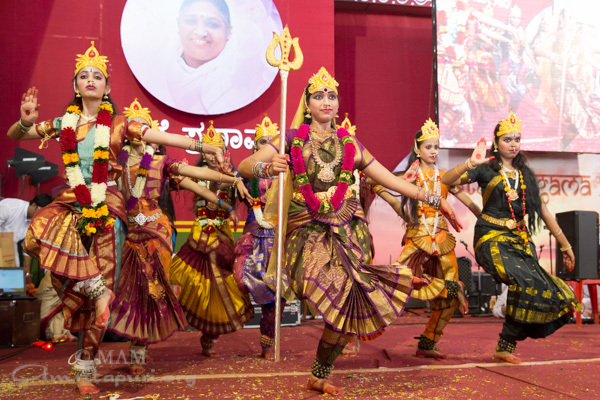 Dakshina Kannada Lok Sabha member Nalin Kumar Kateel, MLA JR Lobo, Kannada Sahitya Parishat President Pradeep Kumar Kalkura and others were present to welcome Amma to Mangalore. 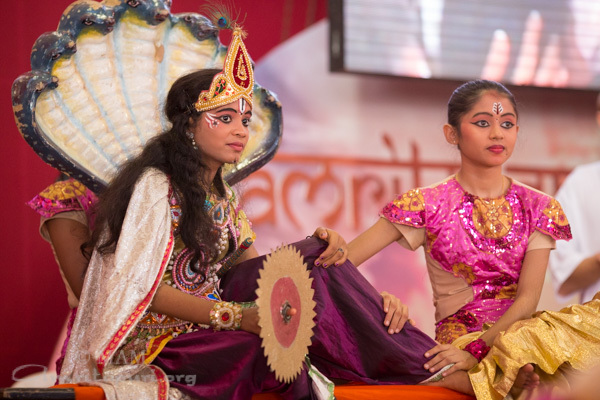 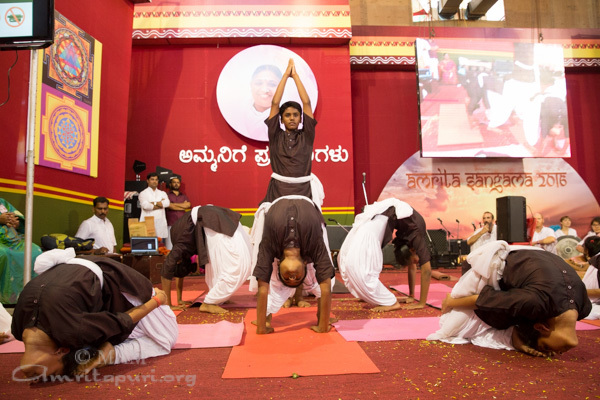 During both days of darshan, different Amrita Vidyalayam schools from across Karnataka came and presented cultural programs which won the heart of many, especially the yoga demonstration by the students of Davangere. 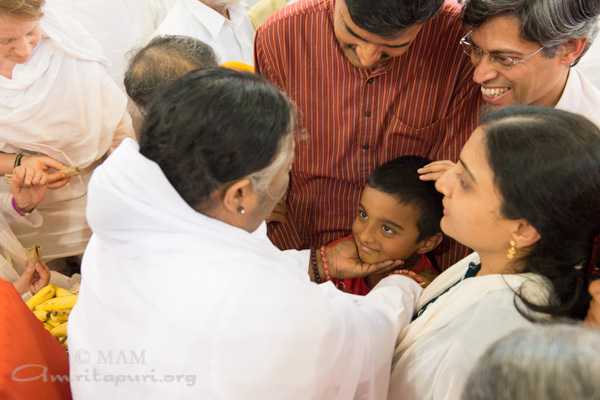 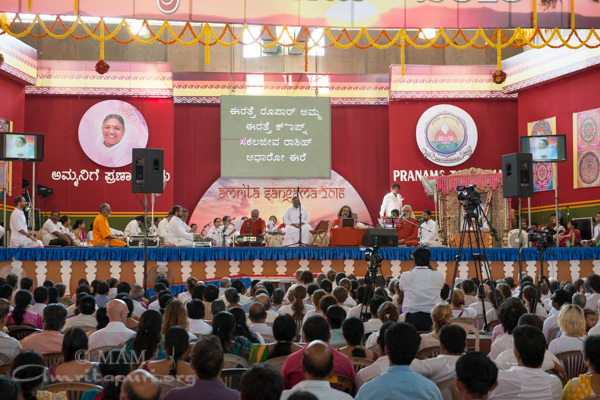 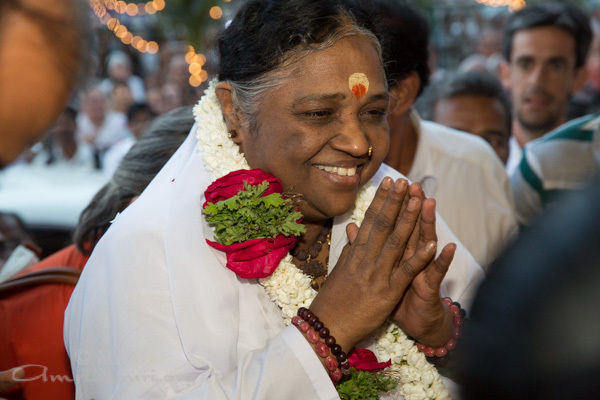 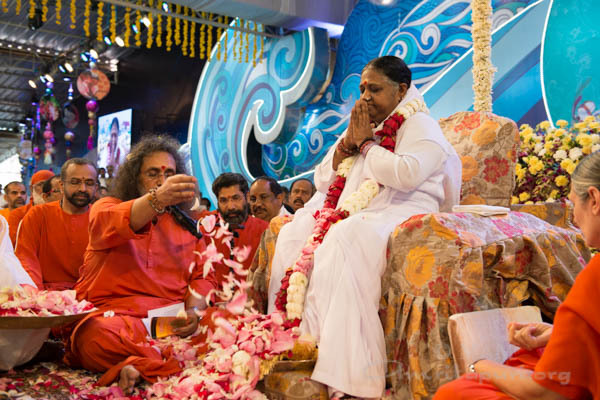 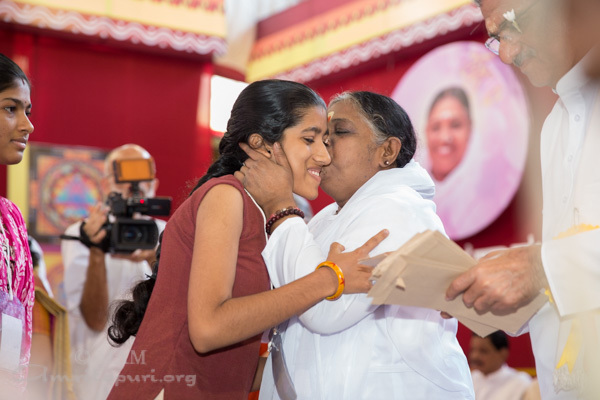 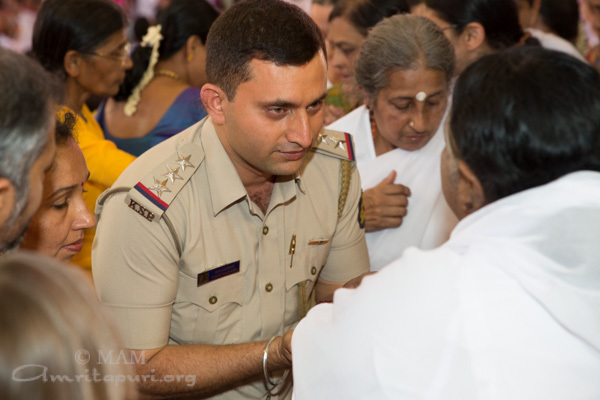 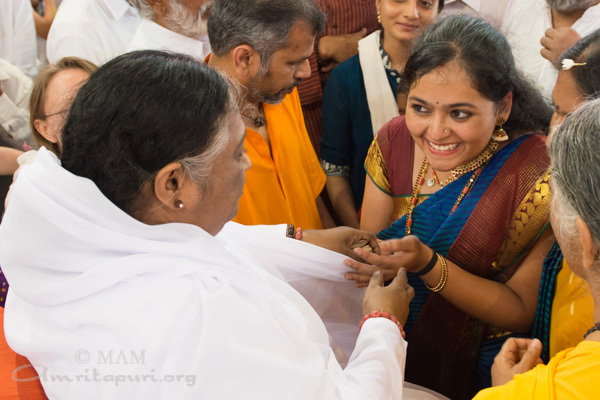 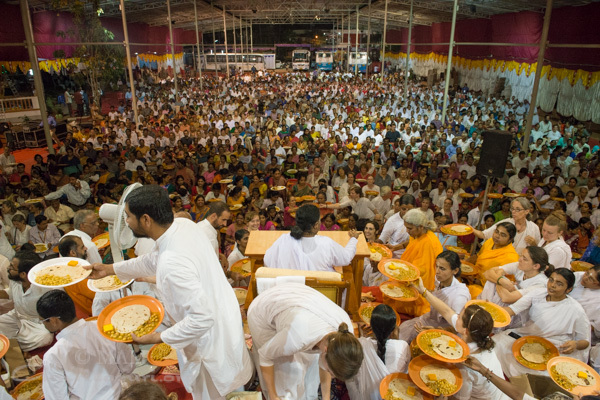 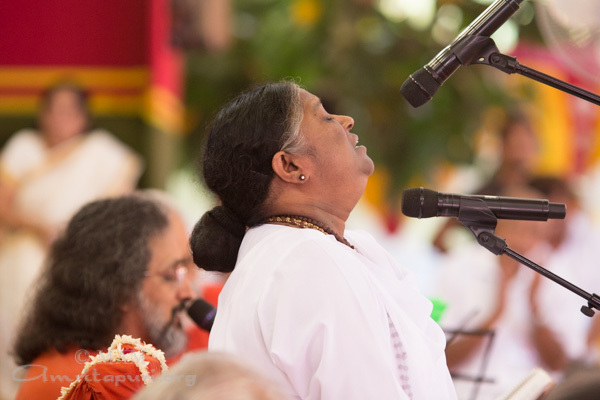 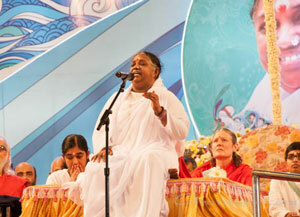 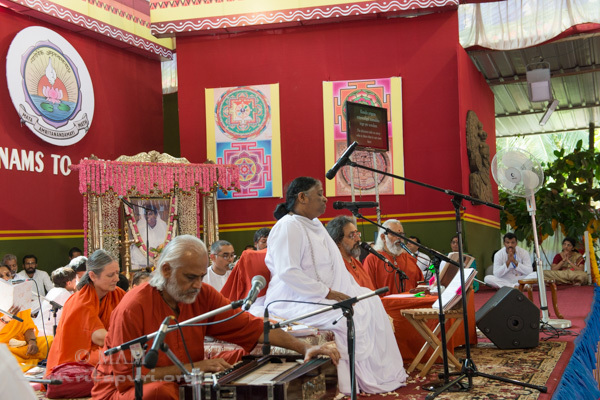 On both days Amma delivered satsang, led the meditation in Kannada, sang bhajans and gave darshan. 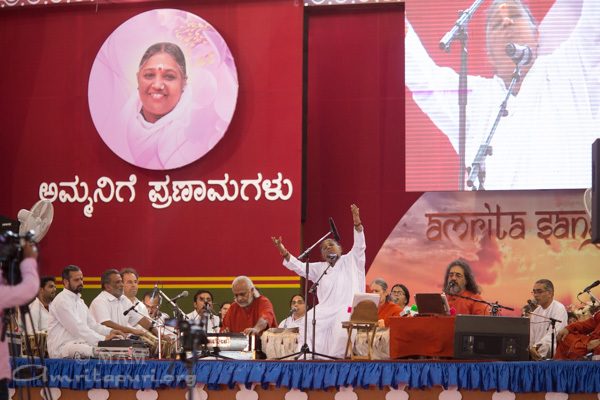 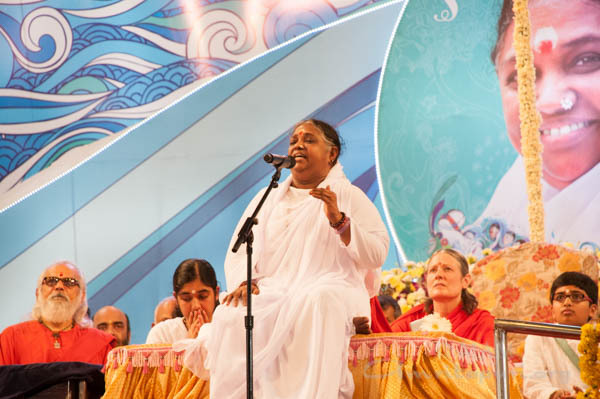 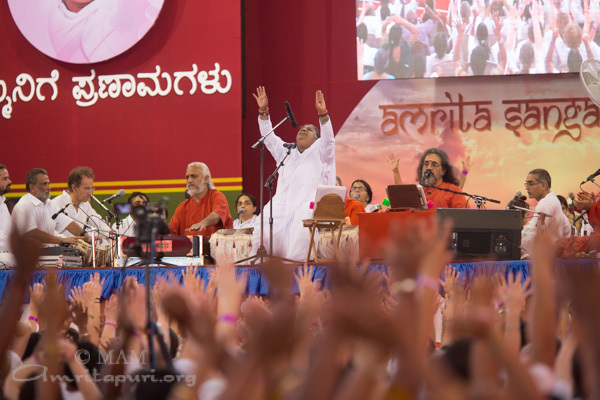 On the final day, at the end of the program, Amma stood up and danced, the whole crowd also joined in, singing and swaying with her. 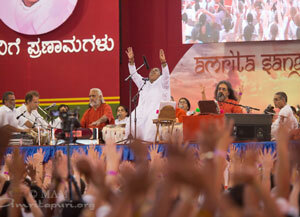 The Mangalore devotees will always remember those beautiful moments forever in their hearts.